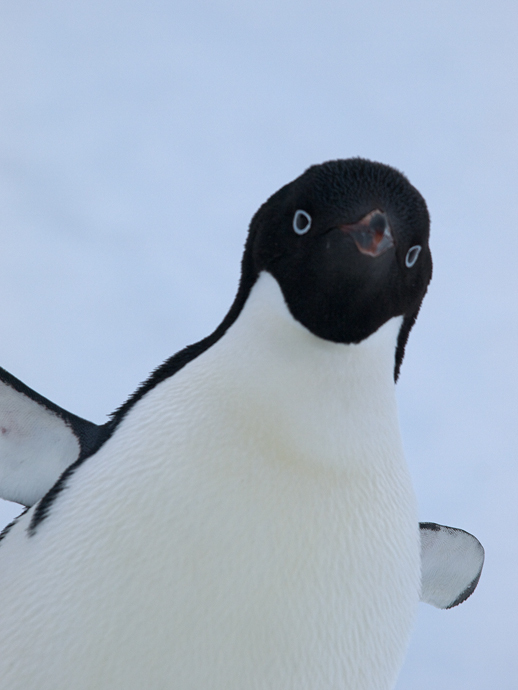 The Adelie (pronounced uh-day-lee) Penguin is on WC’s short list for the toughest bird in the world. 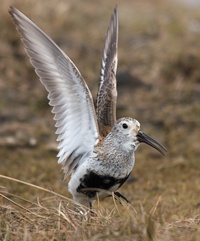 These are birds that specialize on areas at the edge of the pack ice, high latitude birds. 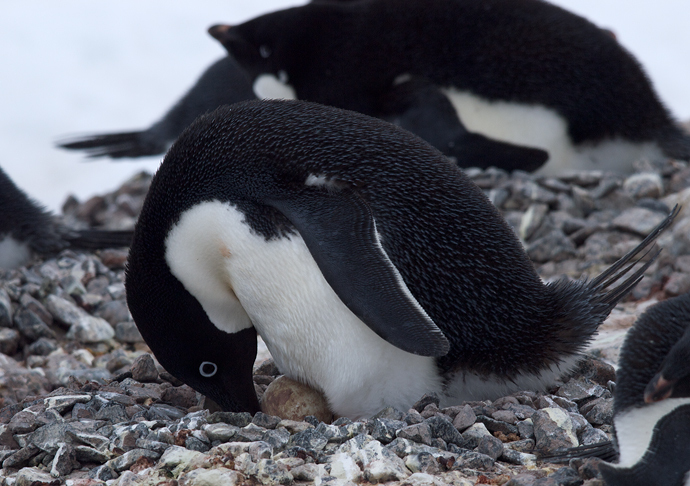 They are nimble on their feet, less quarrelsome than other species and have the neatest, cleanest colonies among the penguin species WC saw. With their white eye-rings, nifty tuxedo-looking plumage and no-nonsense attitude, they might be the archetype of the public image of a penguin. The ones WC were on recently laid eggs. WC watched an Adelie pluck feathers out of a marauding South Polar Skua, making the Skua squawk with surprise and indignation. Of course, when it comes to Skuas the Adelies have to win every time, while the Skua only has to win once. Adelies were also the last new species WC saw on his South Polar trip. A very nice way to end an excellent experience. Adelies are in some trouble. 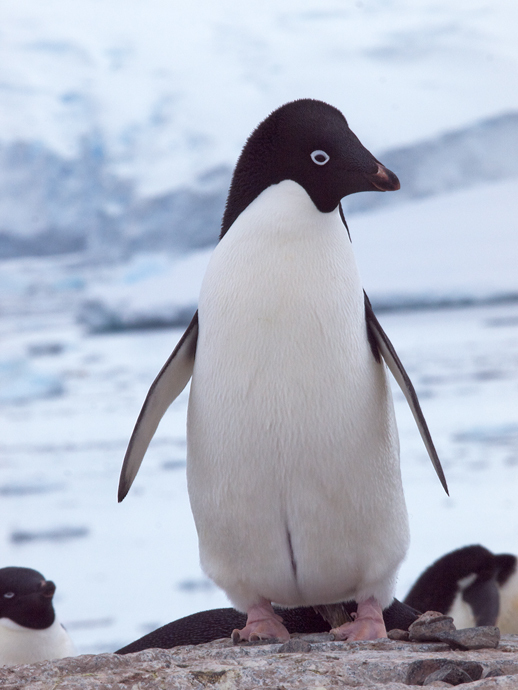 As the pack ice retreats, Adelies are forced further south, with Gentoo Penguins taking some of the Adelie’s former habitat. Global waring is a much slower effect in the South Polar regions than in the Arctic, but still happening.